Homemade Motorcycle Sissy BarSissy bars are a small backrest for the passenger on a motorcycle and can add comfort and stability. 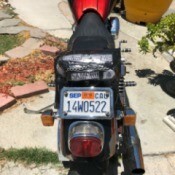 This guide is about making a homemade motorcycle sissy bar. Removing Primer Stains on ClothingIt is easy to get paint stains on clothing when working on a painting project. Removing them will depend on whether the paint primer is water or oil based. This is a guide about removing primer stains on clothing. Creating a Spring Bird Greeting CardSpring is a time for flowers, new growth, showers, blue skies, and a riot of happy birds. This cute handmade greeting card allows you to exercise your drawing skills, use of oil pastels, and food colors as a substitute of watercolors. 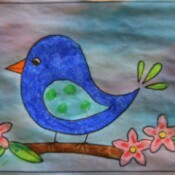 This is a guide about creating a spring bird greeting card. Adding Extra Nutrition to Your FoodBoosting the nutritional value of your meal is easily done by adding concentrated foods, and can often enhance the flavor. 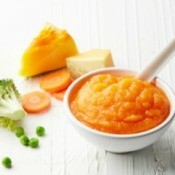 This is a guide about adding extra nutrition to your food. How to Make Painted Wire and Glue FlowersWith wire, wood glue, and nail polish you can create a pretty floral bouquet for your home or to give as a gift. 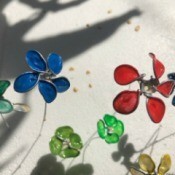 This is a guide about how to make painted wire and glue flowers. Lemonade Pie RecipesWhipped topping and lemonade can be blended together to fill a pie shell to make a delicious frozen pie. 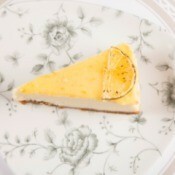 This page contains lemonade pie recipes. 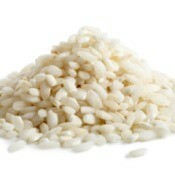 Buying Arborio RiceA short grain rice originally grown in Italy as the classic pick for making risotto. Find it in most national food chains, an Italian specialty stores and online. This is a guide about buying arborio rice. Uses for Club SodaYou make any cold beverage sparkling, with this water that has carbonation and potassium bicarbonate added. It can be helpful with cleaning. 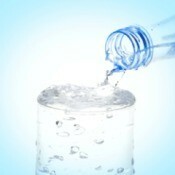 This is a guide about uses for club soda. Dampness and Mildew in a ClosetFinding and fixing the root cause of the moisture is the only real way to stop mold and mildew from growing. 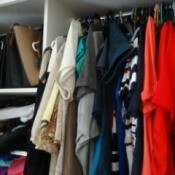 This is a guide about dampness and mildew in a closet. Making a Square from a Paper RectangleA square is a type of rectangle, so it is easy to take a rectangular piece of paper and create a square for your project. 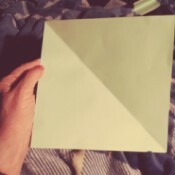 This guide is about making a square out of rectangular paper. 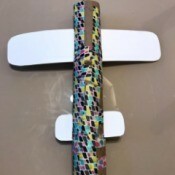 Making a Paper Towel Roll Jet PlaneThis is an easy craft your toddler will enjoy making. 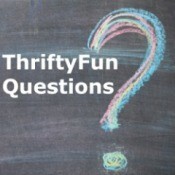 What's great is that you'll only need regular household supplies you will have at home. Overall this is an easy, cheap, and fun free toy! 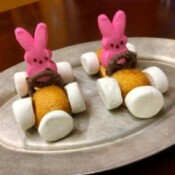 Peeps RacersThis is a cute edible craft for all ages using Peeps bunnies and Twinkies. You can decorate your cars however you like, I went with a bit of a classic race car look. To make this 100% edible, replace the toothpicks with thin pretzel rods. 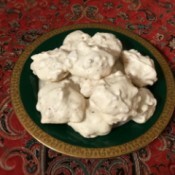 Mum's Walnut MeringuesThis is the recipe for my mum's walnut meringues. I especially love how there is so little that goes in them, but they taste like a lot of work. I hope you give these a shot! 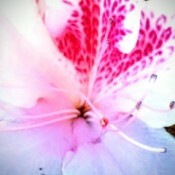 Morning BlissCloseup of a white flower with pinkish red coloration in throat. Finding the Value of Vintage Porcelain DollsI have several dolls that my grandmother had bought my sister. 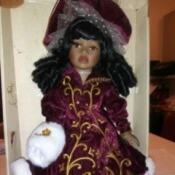 I and was curious how much these dolls might be worth and how to figure this all out. 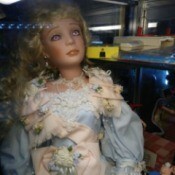 There are many dolls, some Furga, some Old Fashion which from what I can tell is Furga for Sears as opposed to Furga from Germany. Then there is The Allegro Collection by Russ, and Schmid Doll house musical ones, as well as Zanini & Zambelli. Graphic Design Business Name IdeasI'm going to start a graphic designing business. So please give me unique name. Catchy Slogan for a Nursery School Play GroupMy school name is named Lily Nursery School. My tution name is Play Group Tution for Kids. Please suggest a catchy and short slogan for the same. Identifying a Porcelain DollMy doll is 34 inches tall, dressed in a Victorian type dress with a fan in her hand that matches the dress. Her feet, face, and chest are porcelain and the body is a hard stuffed cloth. The markings on her neck are: 108/1000. MARY BENNER. I found a few that are similar online, but can't find who my doll is. 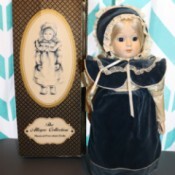 Value of a Limited Edition Collector's Choice DollI would like to know the value of this Collector's Choice doll (limited edition). Name Ideas for an Organizing BusinessI am starting my private organizing business. Due to a lack of creativity I am having a hard time finding a good name for it. I live in Japan so it has to be something short and simple that Japanese people will find easy to remember. 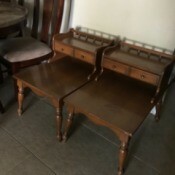 Value of Mersman End TablesI'd love to know what these end tables go for in resale value please.